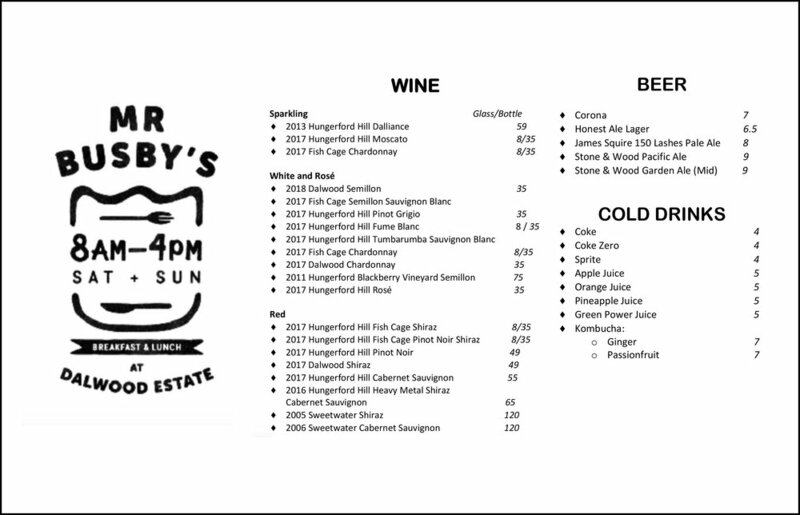 Mr Busby’s is a Brazilian-inspired, family-friendly restaurant located on the banks of the picturesque Hunter River. Named for the man whose cuttings established the first vines on Australia’s oldest surviving vineyard at stunning Dalwood Estate, it’s the perfect setting for a leisurely lunch or breakfast. We’re all about slow food – at Mr Busby’s you can stop, relax, take in your gorgeous surroundings and savour time with your family and friends over a delicious meal. We make everything from scratch in our kitchen using seasonal, local produce and quality ingredients carefully selected by our head chef Rafael Tonon. Taking our cue from our sister restaurant, MEET in Newcastle, Mr Busby’s menu is designed to make the taste buds sing, with house-made sauces, rubs and salsa bringing incredible produce to life and creating a menu you’ll want to keep coming back to. Our meat is slow-cooked over aromatic wood and charcoal on our kitchen’s bespoke barbecue rotisserie, resulting in tender, succulent dishes like no other. We’re in the heart of the Hunter Valley, overlooking the incredible grounds of Dalwood Estate. Come and eat with us, grab a bottle of wine from the cellar door and settle in for a day amongst the vines.